Cloud Transmission Bluetooth Headset has only around 0.40 ounces weight. It is very convenient, wireless headset no matter you are in work, meeting, driving, gym, exercise etc…. Hand free and no missing any phone calls or music. • Ergonomic structural design: lightweight and will not pressure on your head, and offers you an ultra comfortable experience for extended periods of time wearing. • Excellent performance: Heavy bass music effects, perfect stereo sound. Ultralight / anti-sweat / anti-drop, USB interface, 6-8 hour talk time, intelligent LED indicator light . independent power mute button, + and -volume button. Easy to access and control. • CVC 6.0 Noise reduction technology: Noise-cancelling microphone reduces background noise. Crystal clear voice based on DSP digital noise canceling tech. Stable • Bluetooth signal, you can have a clear wireless conversation with your friends. • Quick link：CLG-1 Mini Wireless Bluetooth Earphone. It's a great product, excellent sound and also beautiful at the eye. Have a great volume and it's easy to manage, it connects automatically every time I turned my phones Bluetooth on which saves a lot of time and let you go directly to enjoy your music. The quality in material it's excellent doubt your kid could break it easily. I'm very satisfied with this Bluetooth device. I am in love with this product. It fits nice and comfy, especially for someone who doesn't like things in her ears or squishing them. This is the perfect solution. The Bluetooth connection was a little unclear at first, but I got it working. Perfectly and tightly packed, the Bluetooth headset arrived with intact package. 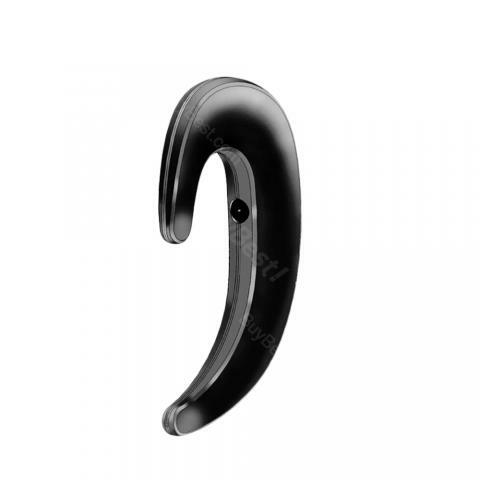 The headset design is similar to a cashew nut, lol.